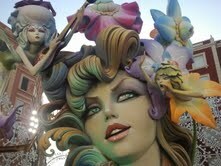 Every March Valencia welcomes its most prestigious festival LAS FALLAS. Festival of Fire. It starts with the first Mascletá (firecrakers) and La Cridá (opening ceremony) set in the Torres del Serrano. This leads to a full 19 days of fiestas coming to a climax on the week of 15th-19th. The Mascletá – everyday at 2pm in the Plaza del Ayuntamiento (town hall square). this is an amazing display of firecrackers that makes the ground shudder, and an experience not to missed! The atmosphere is electric as the city fills with thousands of revelers, eating and drinking on the open air terraces. The light displays are also well worth hunting down, especially if you can catch the turning on ceremony each evening. 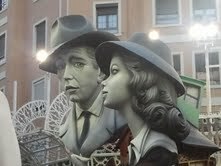 Are you planning to visit Valencia for the Las Fallas fiesta this March? 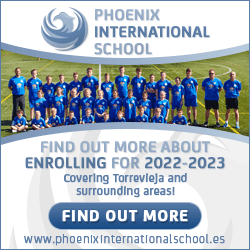 if so here is a crucial guide as to how to get the most out of this spectacular fiesta.. In March Valencia is filled to overflowing for the Las Fallas festival of Fire, accommodation gets booked up very quickly and especially during the main events..15th-19th March, movement around the city can get very restricted. First a WARNING…if you have never been in Valencia for Las Fallas please be warned that this festival is based on Firecrackers, gunpowder and fire! Everyone from as young as they are able to hold one, will be throwing/lighting firecrackers and fireworks at every turn of the corner! Its almost like walking in a war zone sometimes. All in good harmless fun though. Don´t expect to take a car into the city centre, every year I am amazed at how many try to get their car as close as they can, causing no end of traffic congestion. The buses and taxis are able to pass through areas that cars can´t, so first TIP..Don´t even attempt to take your car into the city of Valencia during Las Fallas! Las Fallas actually starts each day with “la despertar” when the “falleros” walk around the streets playing trumpets and throwing fire crackers in order to wake everyone up ready to start the days fesitivities. This starts about 8am. These falleros party most of the night too, so I reckon that most of Valencians sleep for the whole month of April to make up for lack of it in March! You might think that the “siesta” hour is a good time to hit the streets, but with so many tourists around that is not necessarily true. My TIP to avoid the crowds whilst viewing the statues is to start early, even with the “despertar” they don´t seem to hit the streets too early. Then you have the whole day to get around, slowly and steadily as there is so much to see. My next TIP is to plan your route around the Fallas, there are guides available showing the major prize winning statues, so make sure you get to see the best. TIP- lunch early! the restaurants and bars will fill very quickly, but fortunately the main lunch rush doesn’t start til 2pm for Spanish folk. The falleros all have lunch at their prospective “casals” (large tents mounted in the streets in order to hold their private celebrations). These casals put on their own private fiestas, many with discos in the streets. So keep an eye for those. TIP – look out for the Paella competition days, each casal holds their own, they cook the paellas of all different sizes in the streets over log fires. As a tourist, take a long a spoon, they will be only too glad to let you taste, every Valencian is proud of their Paella! TIP- if you are not actually staying in the city centre, then to get in and out at night could be very tricky, check your local area, there is bound to be a local “Ninot” (statue) that will be burnt on the night of the 19th close to you, and certainly you will get a better view, with less hastle than if you try to watch the main events in the city centre. TIP- link to: Las Fallas Programme 2011 check out the Programme to make sure you don´t miss anything! TIP- The days of the “ofrenda” (flower offering) it is great to find an open air terrace and enjoy the atmosphere as all the “falleras” parade around the city in full traditional dress with bands playing traditional music, lovely. TOP TIP- You cannot visit the Las Fallas without being present at at least one “Mascletá” (daytime firework display) in the Town Hall Square (Plaza Ayuntamiento). To get the full effect, get there early, it starts at 2pm on the dot, but to be in the thick of it you will need to guard your place from about 12.30 onwards! but don´t worry if you can´t wait around that long or don´t like crowds (and I mean crowds! ), there is plenty of space on the outskirts, and you will most definitely be able to hear even if you are on the edge of the crowds. TIP- if you are close…open your mouth to protect your ear drums! Well I could go on…but best to keep this to reasonable reading length! If you are coming, enjoy yourselves!